For those who have played Halo 3’s campaign with 3 other people, you may be familiar with the unique playable characters that only appear in that mode, Usze ‘Taham (a purple Elite) and N’tho ‘Sraom (a blue Elite). 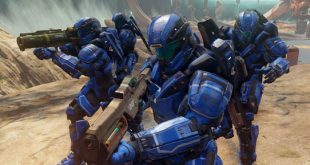 Halo 5 will incorporate a similar co-op campaign mechanic where the other players are not mere clones of the main character, but are rather unique characters in their own right. According to GameInformer, any friends that want to accompany you in playing the Halo 5 campaign will be able to play as the rest of the members of Blue Team, essentially all that remains of the Spartan II program that was responsible for creating the Master Chief. 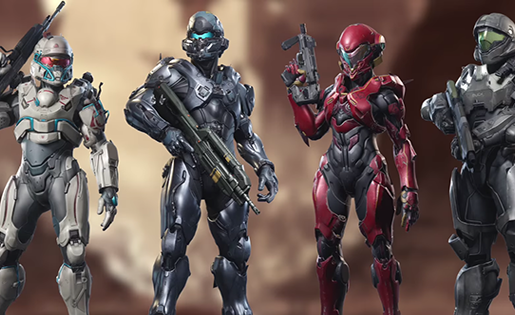 As unique characters, each member of Blue Team will also have their own starting loadouts that fit their role in the team. Even if you want to play by yourself though, the rest of Blue Team will make an appearance as NPCs, not unlike how the Arbiter behaved in the Halo 3 campaign, or Noble Team in Halo: Reach. Like Halo 2 campaign’s though, the perspective will switch between the Master Chief’s and another character’s. 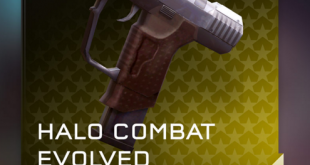 In this case though, you will be able to play as the Spartan IV and Office of Naval Intelligence agent Jameson Locke, who was first introduced in the live action Halo: Nightfall series. Locke will be leading his own team, dubbed Fireteam Osiris, consisting of other Spartan IVs including the new characters Holly Tanaka, Olympia Vale, and most notably, the returning character of Edward Buck, played by Nathan Fillion. Fans of Halo 3: ODST will recognize Buck as the leader of the ODST fireteam that discovered an Engineer beneath New Mombasa, and fans of Destiny will recognize him as the Hunter Vanguard leader, Cayde-6. 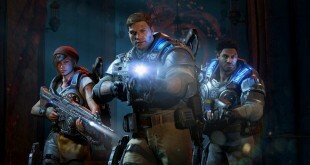 For those who are unfamiliar with the returning characters, Blue Team consists of Linda, the sniper of the group and considered to be a lone wolf and quiet, Fred, second in command of Blue Team and often portrayed to be the close quarters specialist, and Kelly, the scout of the team and considered the fastest Spartan II. Together, they fought at Reach, Earth, and a Forerunner Shield World until they were reunited with the Master Chief, at which point the Chief took command of the group once more and they went after the Didact at Installation 03, another Halo ring. Jameson Locke, first introduced in Halo: Nightfall, is a member of the Office of Naval Intelligence, and led a team to the remains of the first Halo ring encountered by humanity. Even though most of his team perished, they did manage to destroy the rest of the ring.